(v. 4.0+, US only) and iOS (v. 6.0+, US only), you can automatically track your online orders. 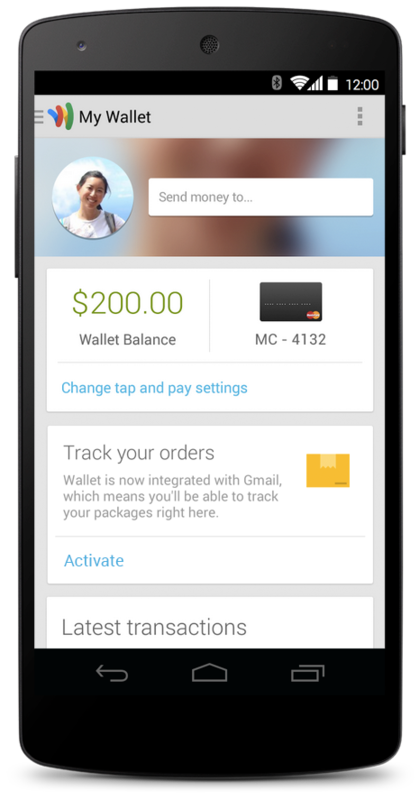 Google Wallet also notifies you about the status of your orders, plus shows your past orders all in one place. Google Wallet also makes it easy to see your order history and details of what you’ve purchased all in one place. You can view the products you’ve ordered, merchant contact information, and shipping details in the app. Plus, with just one click you can call or email the merchant if you have questions about your order. Download the new version of the Google Wallet app for Android (v. 4.0+, US only) and iOS (v. 6.0+, US only) on the Google Play Store, rolling out this week in the US. To begin tracking your orders, open the Google Wallet app and click “Activate” under “Track your orders” or click on “Orders” in the menu. In addition to Orders, the Google Wallet app lets you save your loyalty programs and offers in one place, send money to friends and family, and tap your phone to pay if you have an NFC-enabled Android device. Want to spend less time worrying about your online purchases? With Orders, a new feature in the latest version of the Google Wallet app for both Android (v. 4.0+, US only) and iOS (v. 6.0+, US only), you can automatically track your online orders. 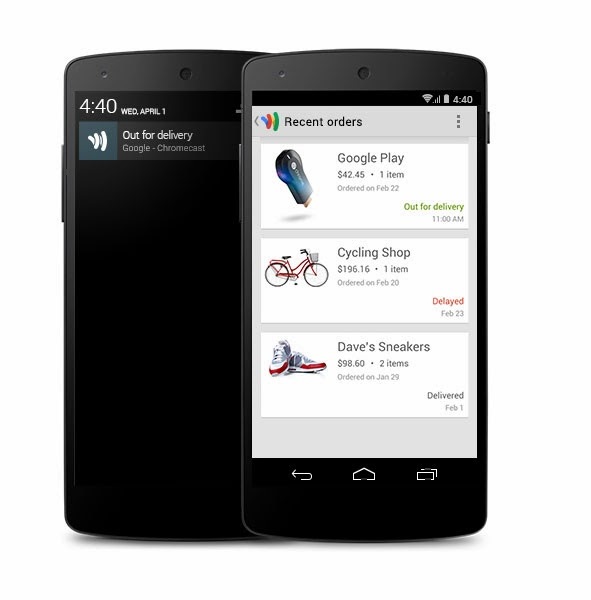 Google Wallet also notifies you about the status of your orders, plus shows your past orders all in one place.